Evo & Grace: The WanderLusts: Sirenna Rivera shining tru in Australian Transgender pageant. 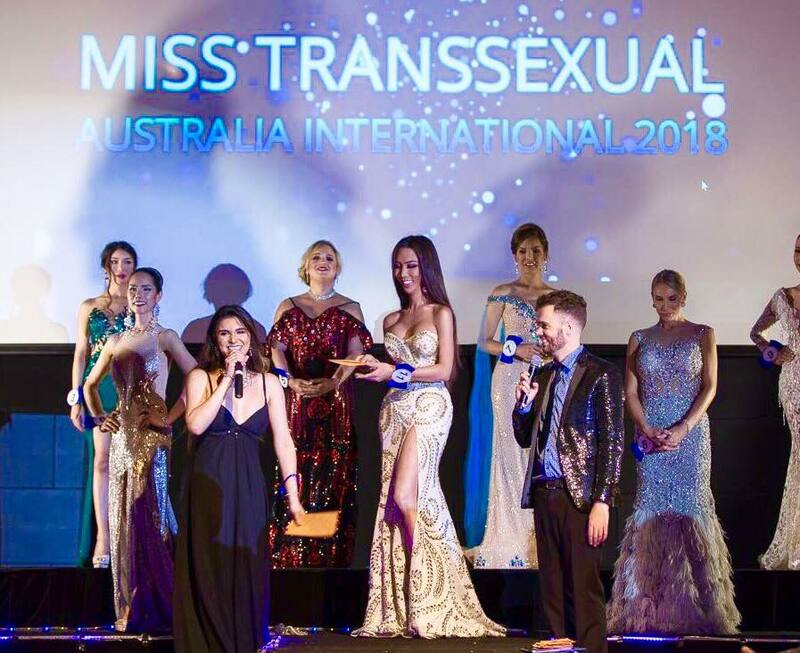 Sirenna Rivera shining tru in Australian Transgender pageant. Sirenna Rivera in her winning costume. 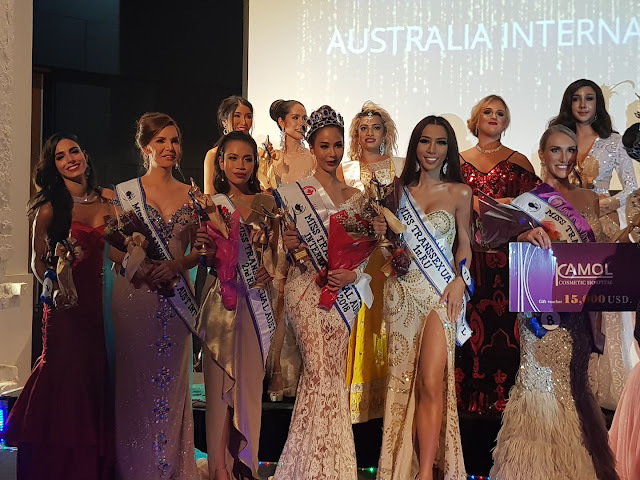 Another Palawena Transexual recently made a buzz in down under, the former Miss Gay El Nido 2015 is now the first runner up of Miss Transexual Australia International held last Jan 27, 2018 at St. Kilda Town Hall in Melbourne, Australia. The said pageant is on its 9th year, there are 12 candidates coming from Thailand, Indonesia, Bangladesh and Philippines. Serinna Rivera, 27 year old is born in Baguio but grow up in the beautiful town of El Nido, in which her family own Las Cabanas resort, she study high school at Fulbright College in Puerto Princesa City. Early 2016 she move to Australia to further her study along with her Aussie fiancé. It is the second time that Serinna join the Miss Transexual Australia, this is after her much coveted winning as first runner up in Ms.Mardi Gras International 2017 in Sydney, she represent White Ribbon, an organization that help women who are victims of domestic violence. This is her 22nd time in joining gay/transgender pageant.